Florida has some of the toughest building codes in the nation, but Hurricane Michael showed that the northern part of the state and the panhandle did not. 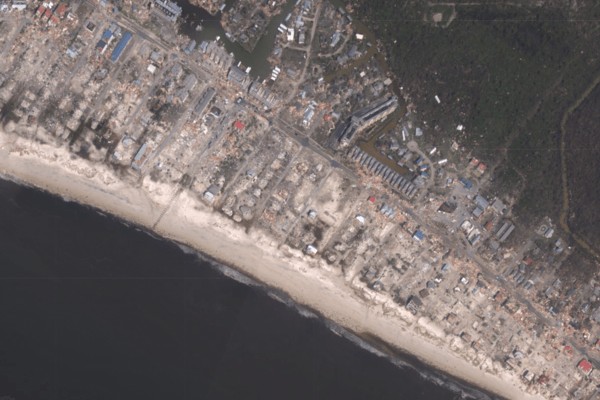 The category 4 hurricane made landfall on October 10th at Mexico Beach. Entire blocks were flattened and 75% of the town gone. According to Mypanhandle.com, the estimated insured losses topped around 6 Billion dollars from Hurricane Michael. South Florida took serious actions on improving their building code in 1992 after Hurricane Andrew hit. Miami-Dade and Broward counties implemented strict standards to making structures withstand winds up to 175 mph. The Florida Building Commission is in the process of revising the state code but realtors, homebuilders, and the insurance industry will have a voice as the state considers how to prepare for another storm like Hurricane Michael. This entry was posted in Florida Continuing Education and tagged Architecture, building code, florida architecture, Northern Florida, sustainability, sustainable architecture. Bookmark the permalink.